"I started training with John in late 2005 with very specific targets in mind. I race high performance sailing boats and needed a training programme that fitted the level of fitness, endurance and strength required to compete at national level. I found John’s approach very open and consultative, he took the time needed to learn more about the specifics of my sport and then set about creating a very tailored programme that was both fun and testing. We are now half way through our season and I am pleased to say that the training has made a huge difference, with races lasting up to 4 hours, fitness has been the key to our success (we are currently leading the series). I highly recommend John for any specialist sport, his enthusiasm for learning about the sport and then translating that into a focused, goal oriented fitness programme is second to none." "I would like very genuinely to take a brief moment to express thanks for your efforts. As you know we came to you (Andy – my younger brother in mind) to improve his speed and power over short distances – this alone has been achieved somewhat in even a short space of time. Since working with you I have gained a greater insight into other aspects of his sport (football) which I am certain we can progress through your services. I have enjoyed your openness and informative outlook and we find the training sessions fun and beneficial. We are very keen to continue indefinitely and particularly interested in your ‘goal setting’ - program." running, swimming and cycling, making the hour session fun, accessible for all abilities and actually quite challenging for all levels. We entered 46 competitors and had a great company day out at the event. John helped everyone participate, he held lectures at the beginning of the 8 weeks of training sessions to talk about the challenges of Triathlon, the week before to get us into the zone mentally and on the day he came to the event, warmed us up and supported us with hints, tips and lots of cheering. Employees asked for us to continue the training following the Triathlon. Two years on (including another Triathlon with more participants) from then, John is still training employees at Arc once a week and as a business we believe it is a great employee benefit both in enabling people to get to know each other as well as keeping fit. Overall this is a good investment for our business and we ensure that our employees keep healthy and fit throughout the year. We have also strarted to use John for coaching some of our employees who have requested one to one sessions. "When my dance partner and I set ourselves the ambitious goal to become British Modern Ballroom Champions exactly 18 months after partnering up and only 12 months after I had given birth to my son, John was key to our plan. Dancing at this level does not only require moving elegantly in tune with the music. An exceptional level of stamina is required to survive all rounds up to the final and then continue to use every muscle with the right technique and have the flexibility to create big shapes whilst moving far and often fast. Each dance has a different character and makes different demands on the body. John was keen to fully understand the different requirements, even watching competition DVDs so that he could create specific exercises to help me develop in all these areas. Working with somebody to achieve your goals who takes a personal and specific interest in what it takes to get there makes it very enjoyable. We were not the favourites to win but John’s combination of coaching techniques to focus and build self-belief, together with the amount of thought he put into the design of the fitness training, significantly contributed to us winning the final. Our next goal was to qualify for the World Championships in 2009 and - hooray -we qualified as the No 1 ranked couple and are off to Canada to represent England. Thanks John, for all your support and input." "I started training with John at the beginning of 2005 as part of the run up to my wedding. In just 10 sessions, I had lost 7lbs, inches around my waist and hips, and dropped a dress size. In addition to the weight loss, my all round fitness, flexibility and health have improved immensely. 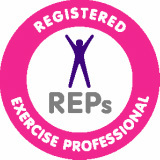 John is a great trainer, who helps you get the results whilst also making it fun!" "I find John to be great fun to work with, being ever enthusiastic as well as innovative in the routines he gave me. One of the original criteria I set John was variety, which he has satisfied with varying and different routines every week. I am happy to recommend John to anyone looking to either improve their general fitness or to work towards a specific training goal"
"I approached John Lingley in September 2006 for support in a weight loss programme. I was 140Kg with a huge BMI and in very poor shape. During our sessions John investigated my previous weight loss programmes and came up with a set of objectives, diet advice and a training regime. It is now April 2007 and my weight is 103Kg, a 37Kg reduction on my starting position. My blood pressure is back to normal and I have so much more energy, feel so much fitter and stronger. Life changing stuff! John has a very caring, compassionate approach to his profession." "Three months after major surgery, I decided to get fit for the first time in my life. Like many others, I went to the local gym, did all the wrong things, gave myself an injury and quickly became disillusioned. A chance referral to John has literally changed my life! After 30 sessions, the results are amazing - I can run for 25 minutes (when I started with John, I could run for only 15 seconds at a time); I am much stronger and more flexible; I have lost weight and feel much trimmer; my recurring back pain is gone; my balance has improved and I am actually enjoying physical exercise for the first time in my life." "For the last 4 years I have been training for the Senior Women's Lacrosse World Cup and since October 2004 I have been fortunate to have John's help and advice with my training. To compete with the top class teams like America and Australia I have to make sure I am fast, strong, agile and aerobically fit and John has been a valuable and knowledgeable trainer. He has studied the game of Lacrosse to enable him to tailor-make sections of my programme, which has been extremely beneficial to my game." "I enlisted John's help with my goal being to enter the British National over 35s Squash Championships and to try and be selected for the England team. He improved my speed and endurance on the court and my muscular strength and endurance. This was achieved by circuit training, sprints, court drills, polymetrics and flexibility. I found John very knowledgeable and motivating and he helped me gain a great belief in myself. I am very pleased to say that I reached the semi finals of the British nationals, only to lose to the eventual champion, and I achieved my lifelong dream of playing for England! This would not have been possible if I did not have the enhanced fitness that John’s training programme gave me." "I have been working with John for almost a year and in that time have attained a number of goals that were jointly set when our training sessions started. These included weight loss of one stone, reduction in waist size of 2 inches and an improvement of my half marathon recent PB. John's training methods, along with his enthusiasm to see me achieve, were key drivers in my achievement of goal after goal. Initial targets were achieved and then re-set before being achieved again. The initial fitness assessment was key to determining targets that were both achievable but also challenging. Training sessions were kept interesting through the innovative use of a variety of resistance training techniques that built up over time. These included advanced weight training systems such as pyramids, inverted pyramids, supersets, negative training, descending drop sets, pre-exhaustion, small angle and compound sets, all of which have contributed hugely to my goal achievement as well as keeping sessions interesting and motivational. As well as the actual sessions, John provided valuable advice on additional training for half marathons that included interval training, distance and diet and nutritional advice. I am in no doubt that this had lead to my recent half marathon successes and my desire to push further. Throughout my training regime with John, I have found him extremely knowledgeable with regard to not only effective training techniques, but also lifestyle changes that compliment the training regime." "A short message to thank you very much for your nutrition and exercise regime over the past year. 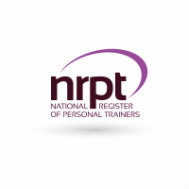 I have really enjoyed the sessions, they are very varied enjoyable and motivating. I found your constant monitoring with the use of your database of my improvement very helpful and motivating and your help and coaching with my diet was extremely professional and successful. I feel much fitter, less stressed and have more energy. " "John has done so much for me during the coaching sessions. He is flexible because he does sessions over the phone or via Skype as well as on a one to one basis. I am extremely grateful to John as he has contributed greatly in improving my relationships with others. He helped me see what was behind other people's behaviour and why they act as they do. He helped me to understand the motivation for my own responses towards others and gave me new perspectives so that now I have alternative ways to look at a situation. Now I treat people with more compassion and goodwill. Besides this, we spoke together about lots of practical issues, things I need to do but never seem to have time or inclination to tackle. With John's guidance, my study goals are met, my home is decluttered and so is my life. Thank you very much John."